For those of you who played computer games in the 80’s and 90’s, you would be well familiar with the point and click adventure games. 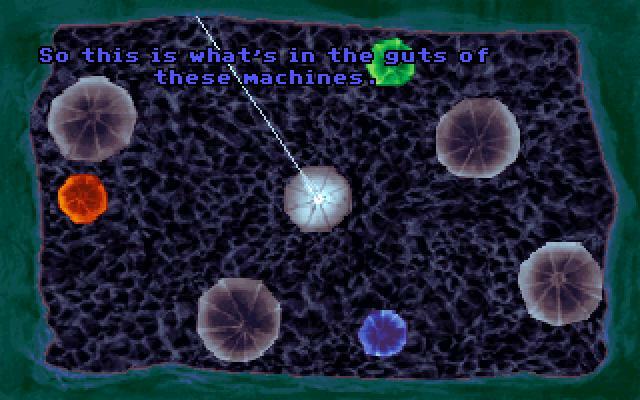 Some were ported to consoles like the MacVenture series in Deja Vu I and II, Shadowgate and Uninvited. Sierra had a lot of adventure games like the King’s Quest series, which was typing for the earlier ones and then later came point and click and Lucasarts had things like the Monkey Island series and Maniac Mansion. The reason I am mentioning this is that I was talking to someone ealier about challenges and how to incorporate a lot of them into the tabletop adventure world. Some are quite easy like the ‘Use X on Y’ style, and others are more of a ‘Solve this cryptographic sequence’ or ‘Figure out this riddle’ and so forth. However, some can be more complex as you get further into the game, and sometimes it is that uniqueness that makes things interesting. 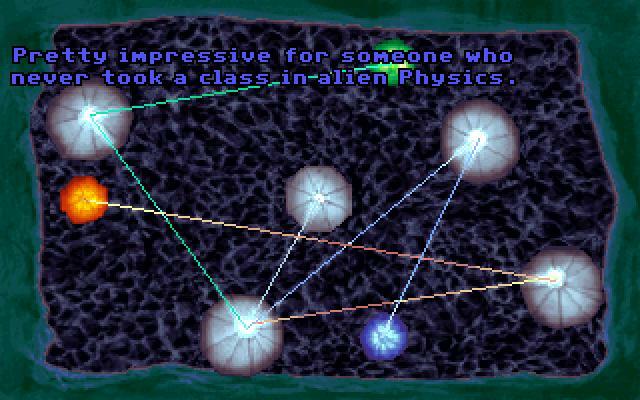 For example, in the game ‘The Dig’ which takes place on an alien planet as you solve various puzzles to find out how to get home, with some of these being understanding the ways the alen technology works and in general the way the alien mind works, as some of their puzzles are udnerstanding pictographs of their concepts and how they apply to your challenges. There is a puzzle made of lights and mirrors as shown here and the solution. Not something very easily done as describe only challenge. This is a link to how Gabe from Penny Arcade used laser pointers and mirrors in his D&D game, but even then it isn’t anywhere near as advanced. I mentioned some of playing Watch Dogs and the Chess puzzles. They had each table being a different type of puzzle series with a different move limit, such as Path puzzles being about taking a setup and using one or two pieces going along a path that connects all the opponent pieces. It can make for interesting challenges with chess or even if you eliminate the piece specifics and go with something a little more general. The Usborne childrens book company has a bunch of puzzle books they made that had storylines with them and to proceed with the storyline, you needed to solve various puzzles from pictures and a brief description. A lot of those could be adapted to an RPG setting, some of all sorts of code or pattern or reasoning. Sometimes I like taking things from old video games, where they were restricted in options to challenge, so they came up with things like the Indiana Jones Last Crusade NES game you had to do a Pathing puzzle walking through a lettered floor with a slowly burning torch spelling JEHOVAH a bunch of times in sequence before your torch burns out, see an example of this in gameplay footage. The whole game was full of various puzzles and had a branching storyline as you could choose your path through which encounters to take. Another game that you can pull ideas from is Covert Action. It is a game where you play a spy collecting clues and travelling around the world stopping criminals. You will be collecting info through wiretaps, codebreaking, following people around and even sneaking through buildings. Once you know what is going on in the case, you can arrest criminals and stop their crime. Not all groups are into meta-puzzles where they have to be the cryptographer, but you could have it b done via some skill rolls or done off-screen. Fetch quest type puzzles can be annoying in video games, where you get X for person who gives you Y and then you usually have to give Y to Z and so forth until you get 10 or so trades and finally get an epic item that is not essential to winning the game. The various Legend of Zelda games had these Trading Quests, which can be optional, but will give you an item or items that are useful. It could be an option for a tabletop game, and can be extremely evil if you look at having them trade something useful for something else useful. So, we can find ways to convert things into puzzles in game, it is just a matter of finding ones that are fun and interesting to take part in. No one wants to be hung up by the puzzle they can’t figure out as there is no walkthrough to consult for help.